The M-Tactical Scope Seriesis the result of Nikon’s effort to make a tactical riflescope using the best possible optical glass, highest quality materials, and innovative riflescope design. M-Tactical scopes are available in three magnifications: 1-4x, 3-12x, and 4-16x. The optical glass used in M-Tactical Series riflescopes is fully multicoated for superior clarity, contrast, and brightness. 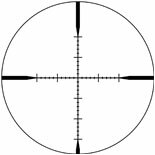 Additionally the reticles etched into these scopes are designed for platform focused ballistics. M-Tactical Series riflescopes four reticle types: MK1-MOA, MK1-MRAD, BDC 600 (for .223/5.56x45mm) and BDC 800 (for .308/7.62x51mm). The long range focused Nikon M-Tactical models feature Side Focus Parallax Adjustments that allow you to make corrections without compromising your shooting position.